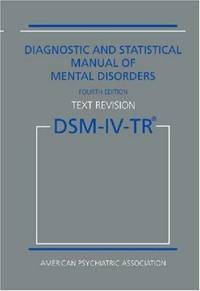 American Psychiatric Publishing, Inc. Used - Very Good. Ships from Reno, NV. Great condition for a used book! Minimal wear. 100% Money Back Guarantee. Shipped to over one million happy customers. Your purchase benefits world literacy!